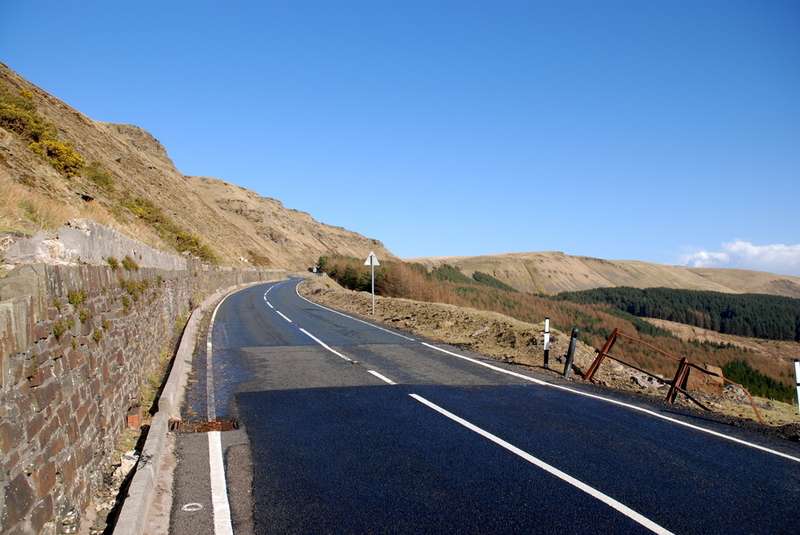 The Bwlch is a 1600ft mountain just north of Nantymoel north of Bridgend. It’s quite a climb up even by car but the views are well worth it. This photo show the final climb up as the road zig-zags from Nantymoel. 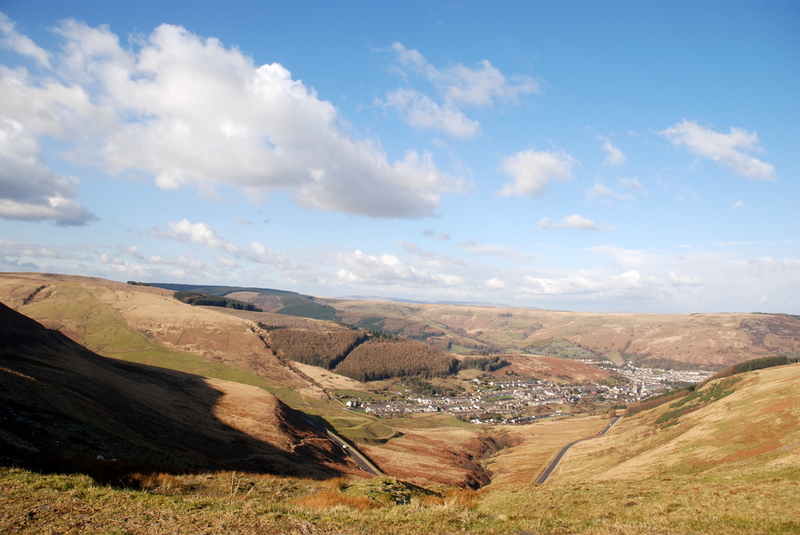 From the top you have great views down into Treorchy in the Rhondda valley. The top of the mountain is popular with model plane soarers. Well worth a visit by car or even by foot if you’re feeling brave!